Nine years ago when I was a slim young lad finding my way around the streets and alleys of Seoul, there was one sure fire place I knew of to get my hands on some traditional wood-fired pizza goodness... La Tavola. Back then, there was no Sortino or Ola Mario and Macaroni Market was but a twinkle in its owner's eye. 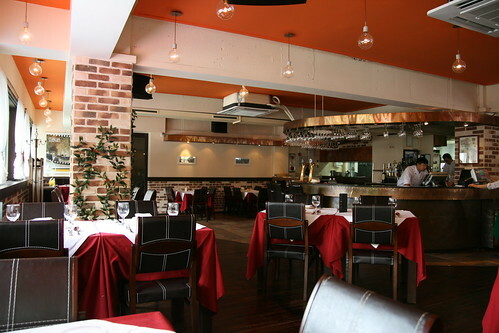 Decent Italian was very hard to find and La Tavola was the best place I knew of. When the sign came down and Antonio's Ristorante opened in its place a couple of years ago, I was disappointed. Part of my time in Seoul had gone and when I went to eat at the newly refurbished restaurant I felt like I was betraying an old lover. However, just two short weeks ago La Tavola sprang from the ashes of Antonio's and I plucked up the courage to go and see my old stalking ground once again. The decor is pretty much the same as Antonio's, inoffensive and unremarkable, but the bread basket is a work of art. The little nuggets of yeasty goodness on the right were piping hot and beautifully fluffy. 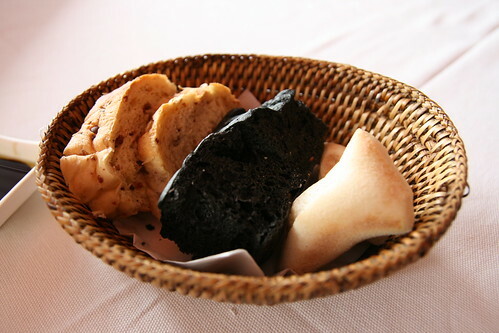 The squid ink bread was moist and the cereal slices delectable. Prices at La Tavola are pretty much the same as they used to be and I decided to try an old standard - the Margherita pizza for 15,000 won plus tax. Presented well, the pizza looked delicious, though had rather too few basil leaves for my liking and was a tad soggy in the middle. 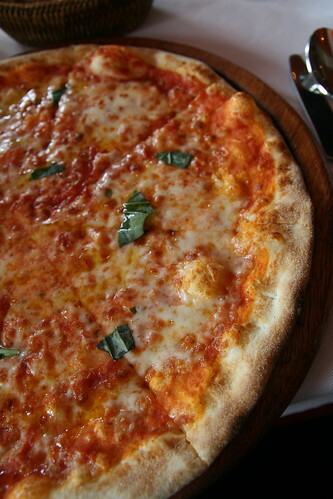 However, the tomato sauce was fresh, the cheese tasty and the crust was just crisp enough. Perhaps not the best pizza in the world, but a tasty nostalgic lunch that satisfied my memories. La Tavola is not the greatest Italian restaurant in Itaewon, but it's a friendly place that serves decent food and will always have special place in my heart. 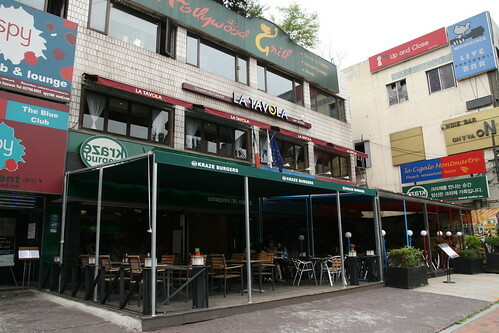 To get there come out of Itaewon station and head past the Hard Rock Cafe, La Tavola is on the left hand side above Kraze Burger. You can call them on 02 793 6144.